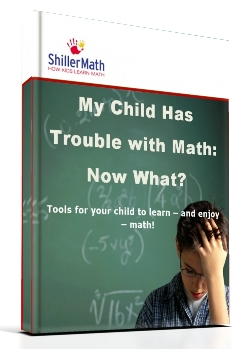 Get Your Free eBook My Child Has Trouble With Math: Now What? Need math help for your child and not sure where to start? Download this free eBook and be one step closer to helping your child attain a solid math foundation - avoiding the pitalls, frustrations, and failures that too many kids experience with math. Download the FREE eBook now for solutions you can put into practice right away.